Keurig single cup. Pods provided. Works with coffee grounds as well. A pleasant country relaxation location only 10 minutes from Mendocino town. Nestled in the redwoods, it is peaceful and private. Very impressed by the spaciousness of the cottage. Weather was rainy a lot of the time we were in the area, but the cottage was a warm and cozy place to spend time. Everything promised by the hosts was there. Had a very nice stay. Some great walks nearby on the oceanside. This is a real find. Tucked away in the redwood forest it is so quiet and peaceful. The property itself is spacious, extremely well-maintained and comfortable. There is no mobile phone signal in the area but the Wi-Fi in the property is excellent. We will be back. Wonderful cottage nestled in the redwood forest. Very clean and cozy. Just far enough away from it all to relax but only a short drive to Mendocino. Thanks for hosting us and we definitely hope to be back soon! Private, homey, very nice, kid friendly, family friendly. Very near the town. Landmarks to location was so easy. Looking forward to next stay there. Thank you for making this a great location when visiting Mendocino. 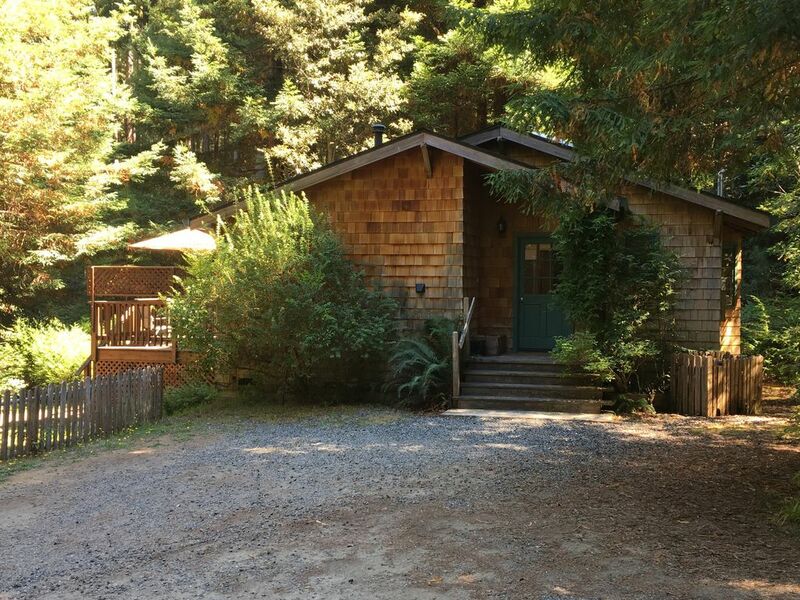 Nestled in the forest among the redwoods and the ferns, this fully-equipped, tastefully decorated cottage made a perfect home base from which to explore the beautiful Mendocino environs. This little gem of a house was comfortable, cozy and immaculate, and its owners, Deborah and Ron, were responsive, helpful and just all around nice folks . I'd definitely stay here again! Fabulous in the Redwoods retreat! Perfect quiet cottage that offers solitude and beauty. Just a short hop to town and miles of gorgeous coastline. Owners were very accommodating and available for any questions .